I love lipsticks. Especially red lipstick. Funnily enough, it took me about 6 months to find the first red lipstick I was happy with. These days, I can pretty much pick up any red lipstick and know it will suit me. My favourite of all time is MAC Lady Bug. What's yours? I'm so jealous of your lovely collection! I've never been a lipstick person until recently. So i'm trying to build my collection up now! Haha I am so obsessed with lipsticks! 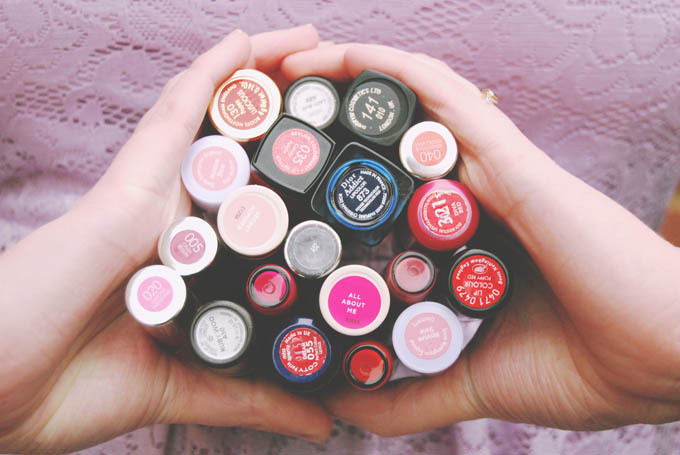 Oh wow, that's a lot of lipsticks! Did you get it free with an order? I did haha! Lip products are the best! Stil very unsure about red lipstick... Just seems so bright and attention getting. Certainly for the fearless! I haven't tried any of the Kate Moss ones. I really should. Haha I won't! Thanks for all these suggestions! I'll have to try them out. I keep meaning to try Russian Red. My favorite is Too Faced, Runaway red! Perfect and it stays all day long!